Have you ever seen spindles? Mukai Rie is a spindle spinner who tries to convey the meaning of primordial work through spinning. 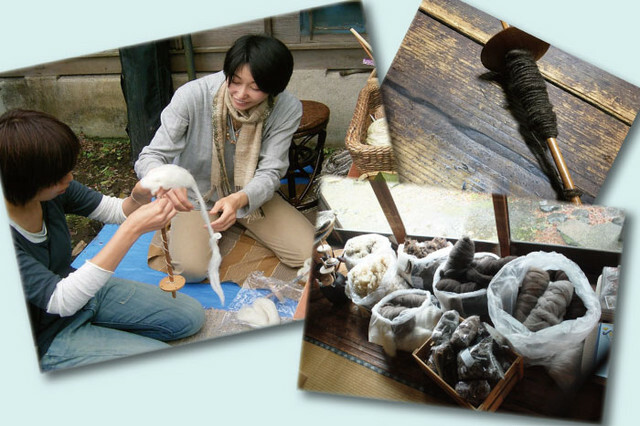 You can experience spindle-spinning with her during 28th, 29th and 30th. Also can buy high qualified sheep wool which she imported from New Zealand.